This towel will change your mind about what a microfiber towel should be. When you have a paint job that you want to protect, this will be the only towel that you will want to use to apply and remove any product with. I'm buying more! 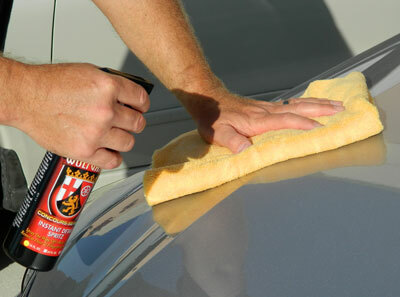 This towel is used to remove car wax and it does a fine job. I have purchased similar towels from with the same microfiber material and they are superior to most towels in removing waxes but they typically are colored blue or orange and come in in standard sizes. I like the gold coloring of this towel and the fact that it's a few inches larger than most conventional wax removal towels,which makes it easier to fold it in quarters. Got this towel free with my WG Fuzion order and it is FANTASTIC. It removes wax and polishes effortlessly. I love the odd size too makes using with larger hands easier. This is better IMO that the cobras too I have several and love using this.